At the heart of the Selvedge story is a cerebral and sensual addiction to cloth and with that an appreciation of the beautifully made and carefully considered. Exploring and understanding the history, future, politics and aesthetics of textiles with its own distinct voice. As a publication we broaden our own horizons and fall more in love with textiles with every issue. Because we believe that the most interesting and evocative textile stories deserve to be shown in the best possible light, we work to ensure that every page is as carefully considered and beautiful as the textile stories within it. Selvedge is a magazine that acknowledges the significance of textiles as a part of everyone’s story. All subscriptions start with next issue instead of current issue. Superb magazine in all senses,from design of the magazine itself to the interesting and informative articles.The idea of this, a new form of magazine stimulates the mind in a different way from usual.So enjoyable long may it live! 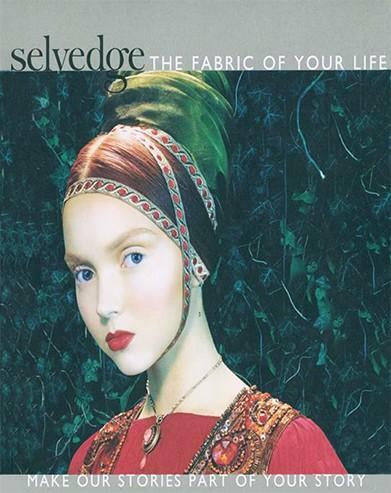 Selevedge is the most engaging textile magazine I have found, and is encouraging me in my own practice and in my understanding of contemporary textiles and their history. Well done!! What a fabulous magazine truly inspirational a must for all textile lovers!! Great magazine if you can get it. I&apos;ve receive three notices that its time to renew and I have yet to receive the final issue (No. 18) from my current subscription.